The people on this planet have been freed from the financial slavery systems, but the cabal still controls the mainstream media, so it is taking awhile for word to get out. Our former owners won’t announce that we’re free. It’s up to us to spread the news. After President Lincoln announced the Emancipation Proclamation on New Year’s Day in 1863, it took two-and-a-half years for some former slaves in Texas to find out that they were free, because their former owners did not tell them until they were forced to. Similarly, even though each and every human on this planet is now free, our former owners still have control of the mainstream media, and we are having to spread the word through alternative channels until we gain control of the mass media outlets. This time, we have the internet. There are many websites in addition to this one that provide background and introductory material related to the OPPT UCC Filings and The One People movement. Here is a blog post that traces the history of important announcements and articles about the OPPT, now The One People, and the I UV Exchange, now the I UV INchange. This is version 3.2 of Angel Lucci’s introductory presentation on the OPPT. I-UV.com (formerly OPPT-IN.com) This website is maintained by the OPPT “ground crew”, a group of volunteers who were at the forefront of getting the message out to the people of the world in the face of a total blackout by the mainstream media. New information is published here and on several key blogs, and from these few sites, it goes viral around the world. There is also a Facebook page for the I UV Portal, which replaced the Facebook page for the OPPT-In movement on May 15, 2013. 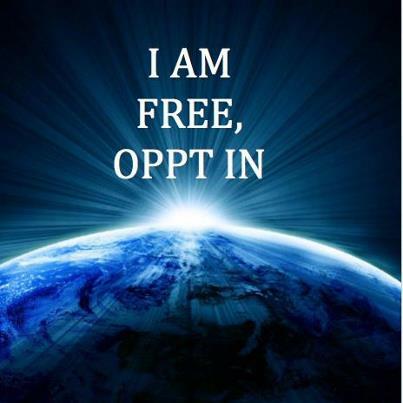 The OPPT-In Facebook page has been retired from accepting new posts, and is kept archived online for historical reference. Kauailapele Kauailapele posts MP3s of all of the online radio broadcasts related to this movement, volume leveled and boosted, with show notes. KP is moving from Hawaii to the mainland and suspending this MP3 project, and his blog will remain up for easy access to archives of previous shows, which are invaluable for understanding recent history. These are some of the best interviews explaining the background, process, and results of the OPPT UCC filings. With D from Removing the Shackles popping in some key questions. There are also archives of the former OPPT-In Show on Blogtalk Radio. UCC stands for Uniform Commercial Code. All business on the planet is conducted under UCC law. 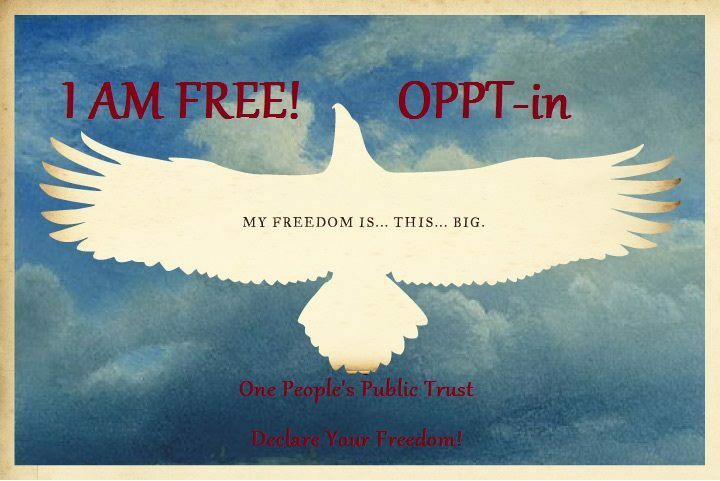 The OPPT Trustees made a brilliant move in using UCC law to shut down the central banks, the Bank for International Settlements (BIS), the “government corporations,” the United Nations and all its agencies, and all other corporations. The OPPT Trustees created a “Catch-22” situation: if the former banks, governments and corporations dispute the validity of these UCC filings, they call into question the validity of every business transaction ever conducted under UCC law, use of which goes back to the time of the Roman empire (and before…). So the (former) corporations were required to respond to the filings directly and rebut them, point by point, with specificity and particularity, and they could not and did not, and therefore, the filings stand as law. To this day, the UCC filings foreclosing on the banks, government corporations and all other corporations stand unrebutted and unrebuttable. In order to complete the UCC filings, trustees were needed to step forward and volunteer to represent The One People and sign all of the documents. The three people who bonded themselves as trustees are: Caleb Paul Skinner, Hollis Randall Hillner, and Heather Ann Tucci-Jarraf. You can see their oaths and bonds here. 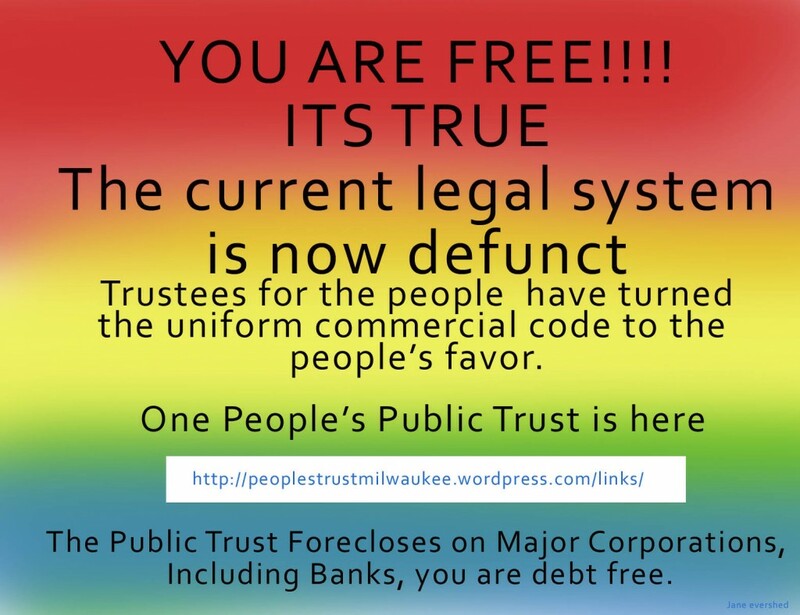 The One People’s Public Trust official site has been archived. That site had posted all of the official UCC filings for all the world to see during the process of foreclosing of the banks and corporations. Now that the work of the OPPT is done, it has no desire to govern or rule the people, and has dissolved (reconciled) itself. The UCC filing archives have been moved to I-UV.com. The UCC filings are hard to read at first, because they are written from 5th dimensional consciousness using a 3rd dimensional system of law. The documents on One People’s Public Trust letterhead have a beginning, middle and end, and after reading a few you will recognize the parts that are repeated at the beginning and end, and be able to find the meat of the document in the middle. Try reading that part aloud while feeling with your heart ~ this will help it all make much more sense. Here is the first official announcement that was released on December 26, 2012. Here is the second official announcement that was released on December 28, 2012. Here is the third official announcement that was released on December 29, 2012. Here is Caleb Skinner, one of the three former OPPT Trustees, explaining how to look up a UCC document using the document number, so you can verify for yourself that these UCC filings are part of the international public record. A group of people conducted the investigation and research for The Paradigm Report over a period of years. Heather Ann Tucci-Jarraf was the lead investigator. At first, their goal was to identify the fraud and corruption in the banking and financial systems and identify how to clean up the mess. As part of the investigation process, Heather let her own house go through the foreclosure process so that she could track down what happened to her mortgage and other documents. After mapping out the interlocking layers of fraud, corruption, ponzi schemes, and outright theft of the value of the people, the investigators determined that the financial system was so hopelessly corrupt that it was impossible to clean up, and that the system had to be shut down so that we could start all over with a clean slate. The investigators drew up The Paradigm Report to document how and why they arrived at those conclusions. The conclusions are the easiest part to read, on pages 2 and 3. On some of the early interviews and radio shows Heather talks about going “back to Prime.” The investigators had to go all the way back to before people ever started doing business with each other to get back to a clean slate. That meant going back before the 13 Cabal families, before the Vatican Church, before Roman Law, before Chinese dynasties and all the other empires, before the oldest Egyptian empire…. So they went back to God or Source or Eternal Essence or whatever you prefer to call that, and for this purpose, they called it Prime, which means First. Your body is the vessel for your Eternal Essence, and your Eternal Essence is the only true value. Currencies (current-cies) are representations of that energy. 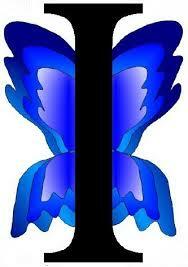 I UV Inchange Introduction by Heather Tucci-Jarraf from American Kabuki on Vimeo. This show explained some of the detail on how to make a Declaration of Deposit into a bank or credit union. Here is a link to the transcript. The Foreclosure Flyer is an information-only document that can be handed out to anyone, anywhere, at any time, purely as an educational tool. It is also quite effective to hand them out to bank managers and other people still working for former corporations or alleged government agencies. The Courtesy Notice is an offer to contract. It is a legal document in which you are making the offer and you are defining your terms. The person to whom you address the offer may choose to accept your terms or choose not to engage with you any further. In general, we have been using these Courtesy Notices to inform former employees of banks and other corporations that their employers have been foreclosed, that they are now acting in their individual capacity, and that they are no longer protected by any corporate shield and they are personally liable for any harm inflicted upon you. Read the Terms and Conditions from a sample Courtesy Notice to see what kinds of things are considered harm. First, check out the Courtesy Notice Guidelines and the FAQs. Then decide which type of Courtesy Notice applies to your situation, because there are several different versions of the Courtesy Notice. It is helpful to send a cover letter and a copy of the Foreclosure Flyer with each Courtesy Notice, with the intention of “waking up” the person receiving these documents. If after receipt of a Courtesy Notice, an individual continues to engage with you, they have accepted your Offer to Contract and your Terms and Conditions, and you then must begin the process of sending them invoices for each incident of engagement. You will need to keep track of Invoice number, Terms and Conditions number, date sent, and dates to send past due invoices. This can be done in a spreadsheet or with a paper system, and even if you are only dealing with one person, you will still need some sort of system for tracking the invoice due dates and remembering when to send follow-up invoices. The goal of these invoices is that the person cease and desist harassing you. If they continue, the next steps are to file a lien (place a claim on their house or other personal property in the amount of the past due invoice total), and then a levy (seize claimed property for purposes of settling the lien), and those topics are not yet covered here. There is a team collecting email addresses of former employees of alleged government agencies and former corporations, for the purpose of simplifying the task for people who want to send out masses of Foreclosure Flyers or Courtesy Notices. The Absolute Data Exchange has search features that help you find email addresses for various categories of alleged and former institutions. You can also add email addresses that are not yet included in the database. This is also a great tool to use in support of online Flash Mobs.